How to Convert OST to PST Online ? Home > OST to PST > How to Convert OST to PST Online? The OST file in Microsoft Outlook is rendered inaccessible due to the issues on Exchange server or when the user tries to migrate data from one system to another. Due to these factors, the routine corporate communications, using emails and other mail components, come to a standstill through this Outlook email client. Online Solution: Try Stellar Converter for OST to convert Exchange OST file to PST easily. Supports latest Outlook versions Outlook 2019, 2016 & Batch Conversion process. Therefore, it’s recommended to convert these OST files into PST file format and import them into the newly configured Outlook email client. Though manual methods of OST file-conversion are excellent, these are associated with their own set of limitations. In case these methods are not competitive enough, and OST does not yield the best results after PST conversion, it may lead to improper communications. This article presents the specific causes of this Outlook error and the manual and professional methods for OST to PST converter online. Inaccessibility due to a server crash or database inaccessibility. Sudden power failure, software malfunctioning, other similar reasons lead to the accidental breakdown of Microsoft Exchange server. Then the Outlook users are unable to access their mailbox data. Converting OST to PST file ensures data accessibility, once the Exchange is up and running. A scheduled maintenance activity for Exchange server requires downtime. Exchange Administrators shut down the server to carry out successful maintenance of Exchange server. During this period, the Exchange database on that server is not accessible. And if the maintenance activity is not completed within the stipulated time-span, then there is a problem. Organization shifts from one location to another, then data migration becomes essential. Also, in cases, where the user shifts from one system to another. In both cases, there is a need for OST to PST conversion as OST opens only on that system where it is created initially. Data of all the previous employees is deleted from the server. If there is a need for some data, then it can be retrieved by the user’s system. However, this is possible only when the system is not formatted, and OST file is available on the system. In that case, OST to PST Conversion helps in accessing the Outlook data. OST files are free from any corruption. Corrupt OST files cannot be opened. In Microsoft Outlook, there is an option to archive mailbox data into PST file with the help of Cleanup Tools. This feature helps you to move all mailbox items, except ‘Contacts’. Checkbox for ‘Archive this folder and all subfolders’. Select the folders which you want to move to PST file and select the Date from which items need to be archived. This option is available in ‘Archive Items Older than’ option. The date should not be earlier than that of Outlook configuration. Once the items are archived, browse for a location to save these items in PST file format. Name this PST file and click ok to conclude the process. Verify if the PST file is saved at a preferred location and it contains all components. Note: In Outlook 2013 and further, ‘Online Archive’ feature helps to archive Microsoft Outlook data. 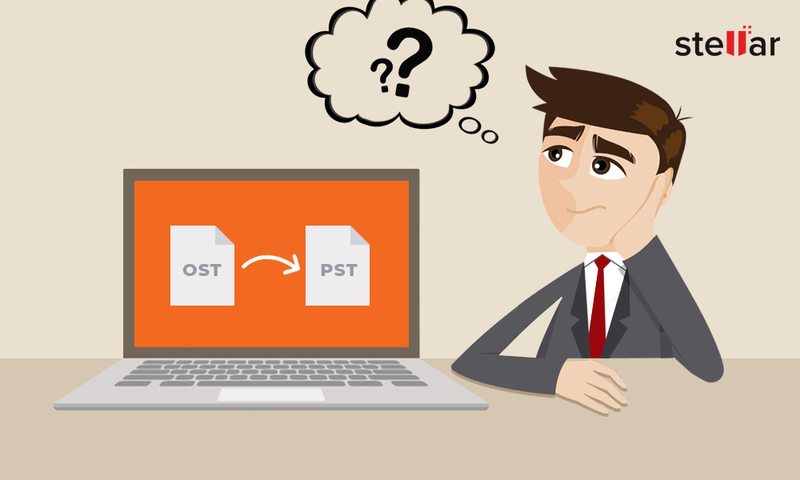 Export to a PST method allows users to convert OST file into PST format. This also includes saving the Contacts in CSV or Excel format. The process of converting OST to PST online is complete. Verify PST file components. Stellar Converter for OST is one of the most performing OST to PST Converter software which converts all components of OST file into PST format in few simple steps and saves this PST at the preferred location. This professional software is the most feasible option to convert OST to PST online. This software locates the OST file within the drives and converts it into an accessible PST. 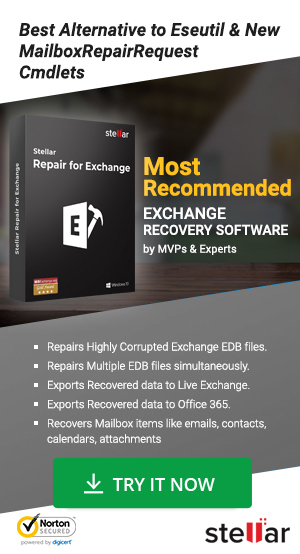 Secondly, this software helps to resolve those issues where Outlook users get stuck due to Exchange-related errors. Stellar Converter for OST converts the OST file into PST format and ensures uninterrupted business communication.